Join Kenro at Dromgoole’s this weekend and see the amazing new Samurai. December 1st & 2nd. We will have the full lines of Montegrappa, Aurora and the Reborn Esterbrook. Experience the modern Esterbrook with the MV adaptor and put on a vintage Esterbrook nib, of which there are over 300 varieties, to see what all the talk is about. 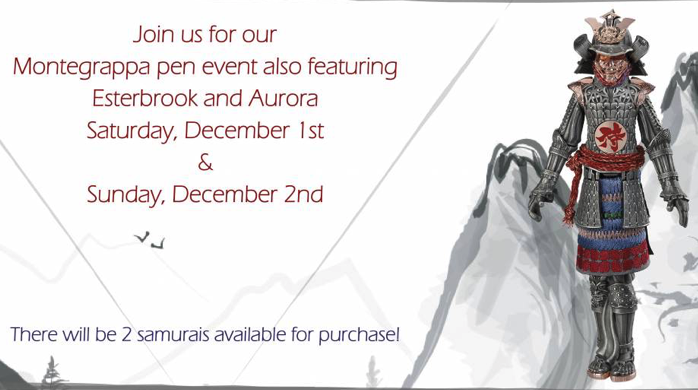 We will have pens inked and ready for you to try.